Dance is physical experience that expresses and complicates cultures and societies. Bolly Natyam compositions collage performance traditions with media projections and other dance forms, and focusses on the fragmentation and commercialization of culture and identity through interculturalism and globalization in South Asia and its diaspora. 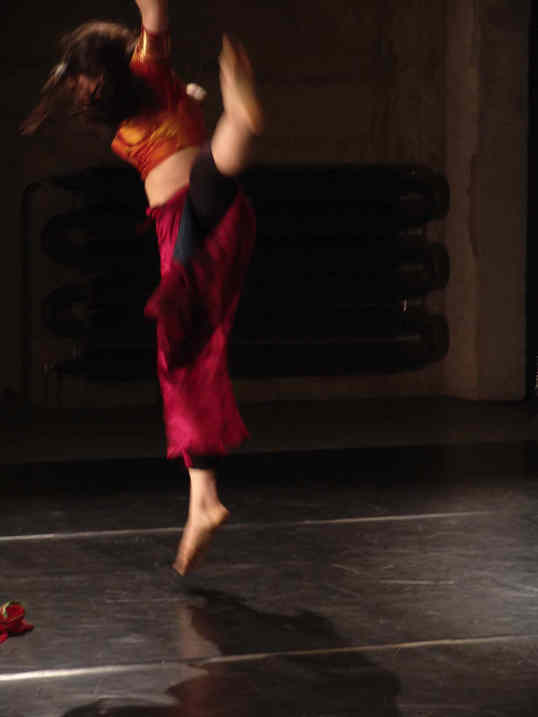 The work grows out of the movement techniques of Bharat Natyam (Indian Dance), Charya Nritya (Nepalese Dance), Bollywood, Kalaripayat (South Indian Martial Art) and contemporary dance. Bollynatyam has been performed and choreographed in Sri Lanka, India, Belgium, Nepal, the Czech Republic, Slovakia and United States.